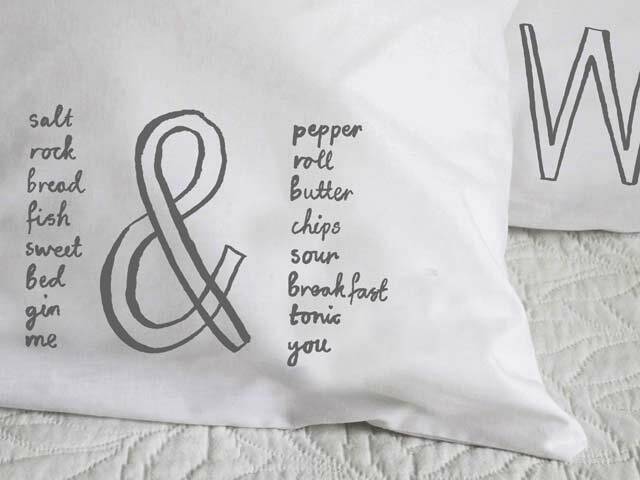 A beautiful white pillowcase featuring a hand drawn message in dark grey ink. Each pillowcase has a lovely message printed on the bottom right hand corner. These charming messages are a great gift idea to show your loved one how much they mean to you! Four messages are available.